Music’s potential for aiding the rehabilitation of people with various neurological conditions has been demonstrated. Evidence is greatest for stroke and dementia, but music-based interventions can also help cognition, motor function and emotional well-being in people with Parkinson’s disease, epilepsy and multiple sclerosis. Neurogenesis in the adult brain has no effect on brain recovery, so restoration relies on the ability of spared neurones to compensate by forming new synapses to remodel the injured networks. This has traditionally meant exercises to target specific weakness, but an alternative strategy is to increase overall levels of brain activity through sensory stimulation, such as music. 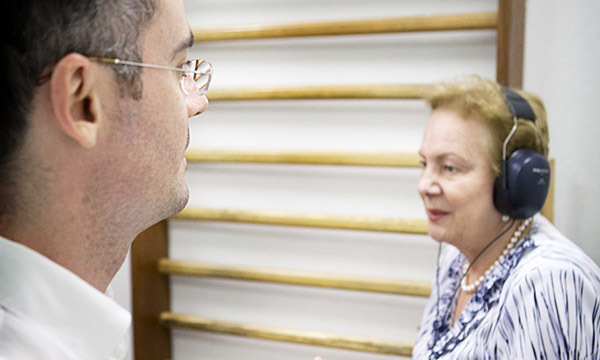 In patients who have had a stroke, balance and gait improve with rhythmic auditory stimulation, while arm rehabilitation improves when patients practise using musical instruments. For people with non-fluent aphasia, singing-based therapy improves object naming. Music with rhythmic movements can improve overall mobility in people with Parkinson’s disease. Music therapy also improves neuropsychiatric symptoms, such as agitation, anxiety and depression, in people with dementia. This could be driven by the comfort and emotional safety induced by familiar music. It is possible that these improvements are the result of several distinct mechanisms. Music activates various networks in the brain increasing blood flow and influencing the dopaminergic system, which is associated with reward. The intense emotional response to particular music leads to increased dopamine secretion and can also inhibit the sympathetic system leading to a soothing effect. In the future, music-based rehabilitation technology, using virtual reality or adaptive stimulation, will play an increasing role in music for patients with neurological disorders. Sihvonen A, Särkämö T, Leo V et al (2017) Music-based interventions in neurological rehabilitation. Lancet Neurology. 16, 8, 648-660. Older people were all young once and often have unique stories to tell.